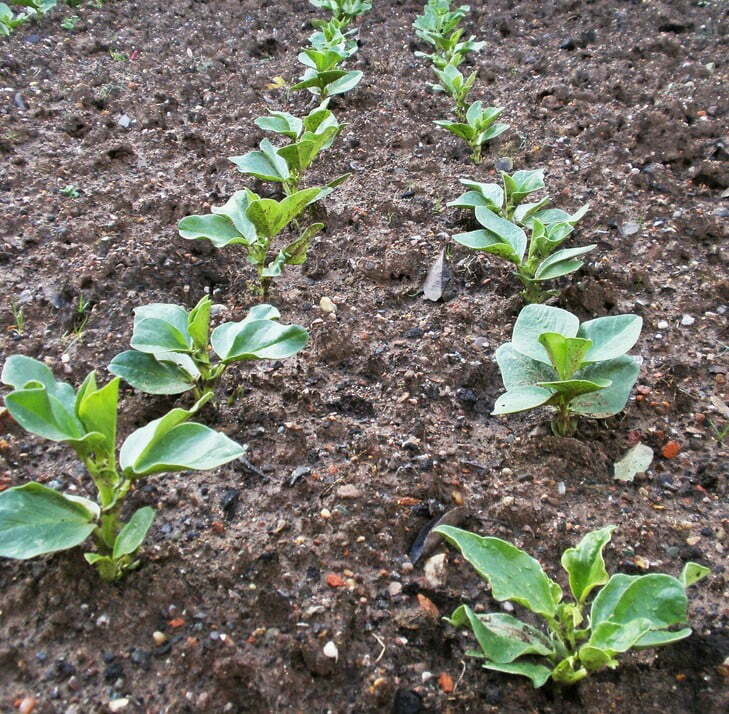 Autumn is a great time to sow broad beans for spring harvest. They are one of the easiest vegetables to grow and you start by sowing the bean seeds directly into your garden or a large pot. 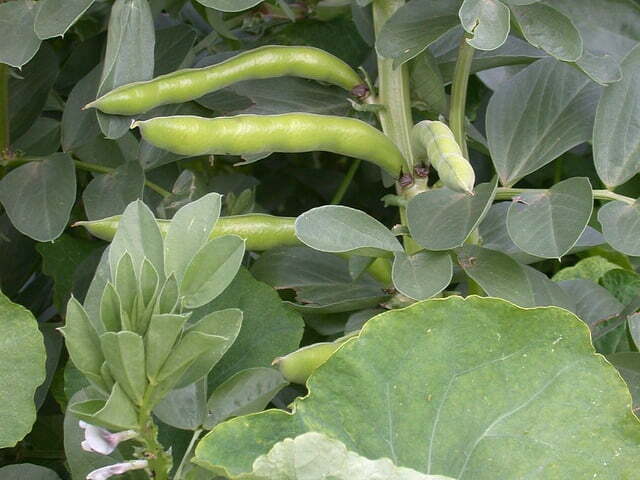 They’ll grow rapidly through the cooler months into large, bushy plants and about 5 months after planting, you’ll have lots of large bean pods ready to harvest. Choose a sunny, well-drained spot. 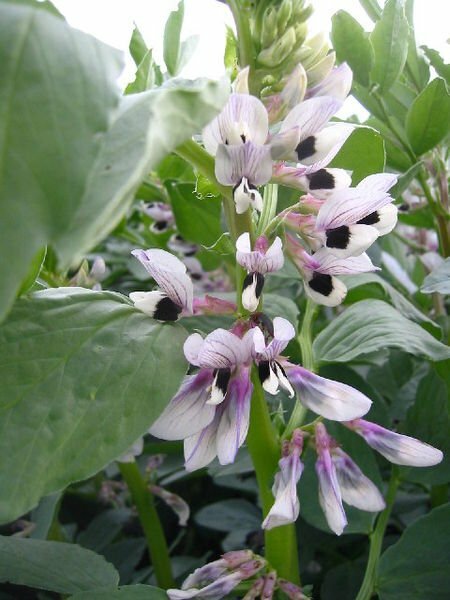 Beans don’t need high-quality soil and will cope with clay or even slightly saline soil, but it’s a good idea to improve it with some low-nitrogen organic matter like cow manure so the soil holds plenty of moisture. If you make the soil too rich, you’ll probably get lots of leaf growth but not many flowers and bean pods. If you put them too close together, the plants become more prone to fungal disease but if they’re too far apart they can’t help support each other. Broad beans don’t have twining tendrils like other beans and peas so they need something to lean against, like a trellis, plant stakes or other bean plants. The plants will become bushy during the winter, growing to about 1-1.5m (3-5ft) high and are also quite pretty, with grey-green leaves and then white flowers with black centres in late winter. They cope with frosts very well and will really put on a growth spurt in early spring. You can tip prune the new leaves to make them even bushier. Make sure you keep them well-watered especially if the spring is warm and dry as a stressed plant will not set fruit. Harvest the pods when young, and open the pods and remove the 4-8 beans inside. Peel off the outer skin and steam them lightly. If you leave the pods on longer, the beans will become drier and you’ll need to also remove the inner skin off the individual beans, which you can do after blanching in boiling water. 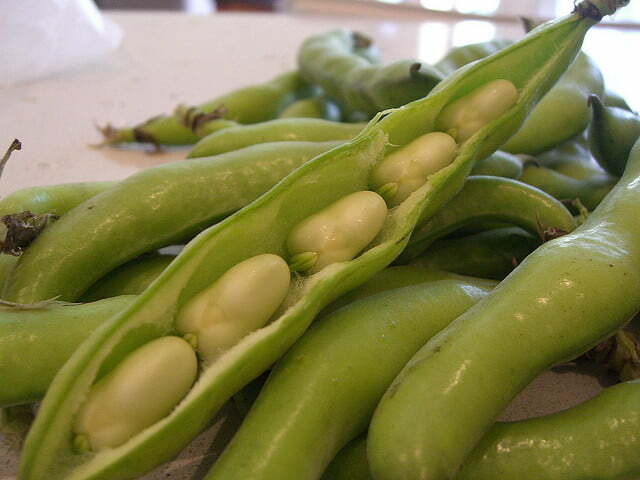 You can also freeze broad beans after blanching and a quick cooling with a plunge into iced water. After the harvest has finished and you’ve removed all the pods, you can break up the plants, roots and all, and turn them back into the soil.